Pretty much all forms of gambling in South Africa have been strictly controlled since day one. In 1965, apart from betting on horse racing events, all other forms of gambling were banned thanks to the newly implemented Gambling Act. But less than a decade after the Gambling Act was introduced, several land based gaming venues started popping up all over the place and began accepting real cash wagers in districts such as Venda, Ciskei, Bophuthatswana and Transkei. By the mid-1990s, it was estimated than more than 2000 illegal land based gaming venues were operational. In 1994, a new party took office and changed the face of gambling in South Africa. The new leadership actually permitted land based casinos and this revised the way in which these establishments would be licensed. The newly formed National Gambling Board began issuing licenses and then in 2004, the government imposed the new National Gambling Act. Just four years later, the National Gambling Amendment Act arrived and this new legislation was also designed to include the monitoring of online gambling. Although land based casinos, sports betting and betting on the horses in South Africa are all perfectly legal, online poker games and online casino games are still not available in South Africa. A high court in Johannesburg banned online casino gambling in August of 2010 and just like several other nations (e.g. the US and Norway), the act of processing payments between financial institutions and gambling portals became illegal. Guilty parties can receive a maximum R10 million fine and up to 10 years in prison. If foreign operators do continue to offer their services to South African players but don’t get caught, they still risk being rendered ineligible for obtaining an actual license should online casino gambling eventually become legal in South Africa. Few changes have been made in recent years, but the South African government insists that it is aiming for a more relaxed approach towards online casino gambling and that will eventually it liberalise its laws. For the time being though, South Africans in their millions continue gambling at numerous fully licensed online casinos which operate from outside of the country. Most of these casinos accept South African Rand & South African payment options, they provide 24 hour support (which is usually toll free) and many are powered either by Playtech or by Realtime Gaming software. These top-rated SA online casinos tend to be licensed either in jurisdictions such as Curacao (formerly Netherlands Antilles, by the Curacao Internet Gaming Association / CIGA), or in Malta (by the Malta Gaming Authority – formerly the Lotteries & Gaming Authority of Malta). You will also find many that are fully licensed in Kahnawake, Quebec, Canada (by the Kahnawake Gaming Commission) in Antigua and Barbuda (by the Directorate of Offshore Gaming), or in the United Kingdom (by the UK Gambling Commission). The best SA online casinos can be found right here on this website in our online casino review section. National Gambling Board - Official website of the National Gambling Board in South Africa. 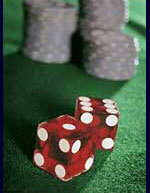 Responsible Gambling - Provides help for those who reside in South Africa and have a gambling problem. South African Gambling Guide - Useful website for South African players in search of online casinos who are licensed and regulated in jurisidctions such as the UK, Canada and other reputable online gambling licensing countries. South Africa Casino Portal - Provides information on the best and the worst online casinos for South Africans to play in ZAR currency gambling sites for real money.